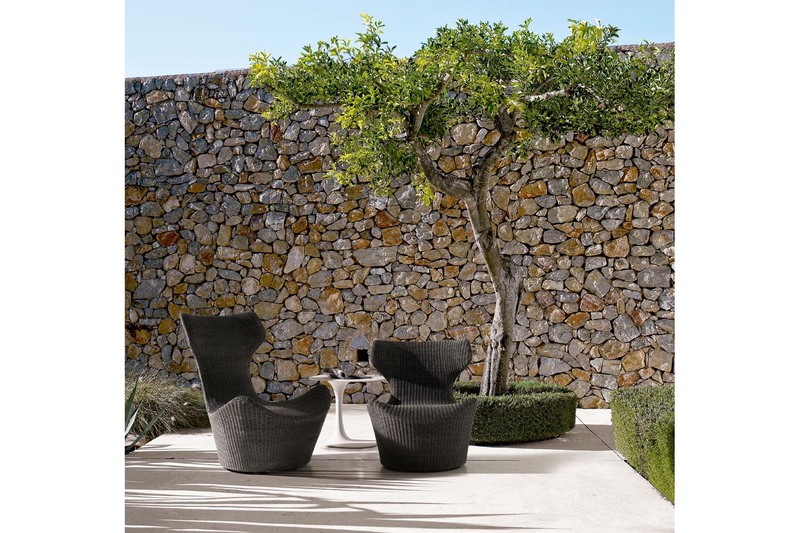 Milan 2013 saw the introduction of an outdoor collection of the Papilio family by Naoto Fukasawa. The pieces retain the plasticity of the indoor versions, but with a lighter look thanks to the new materials. Grande Papilio, Piccola Papilio and Mini Papilio, all three sizes are back with that unique single material personality and a weave of anthracite coloured polyethylene that is perfectly suited for its characteristic shape. 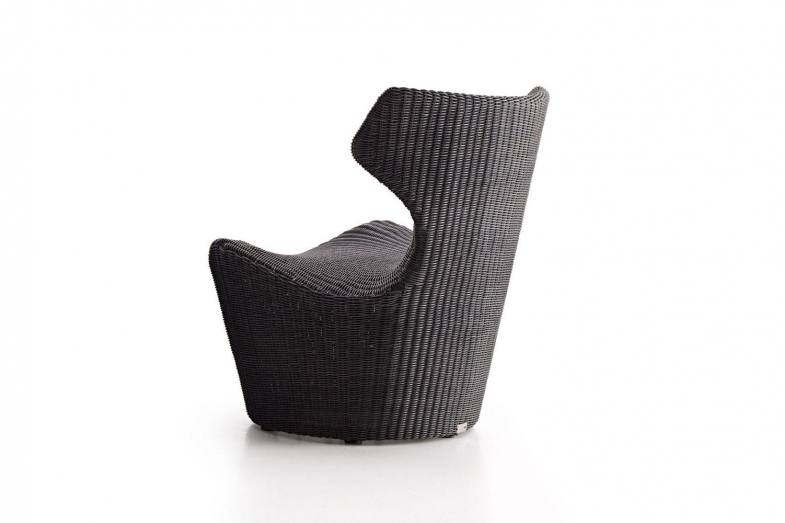 The ottoman naturally follows Grande Papilio's polyethylene weave.